It's so easy to lose site of why we started working out, what our goals are and make excuses to not stick to our workout. This is human, accept it and don't let it own you. With a new season officially upon us, this month can be a great time to reflect on your fitness goals and turn over a new leaf (pun intended.) Maybe it’s the shorter days, the changing leaves, or the falling temperatures, but the start of a new season can be a natural turning point. It’s the ideal time to put away any excuses or mindsets not serving us, and head into the remaining few months of the year with a reinvigorated spirit. 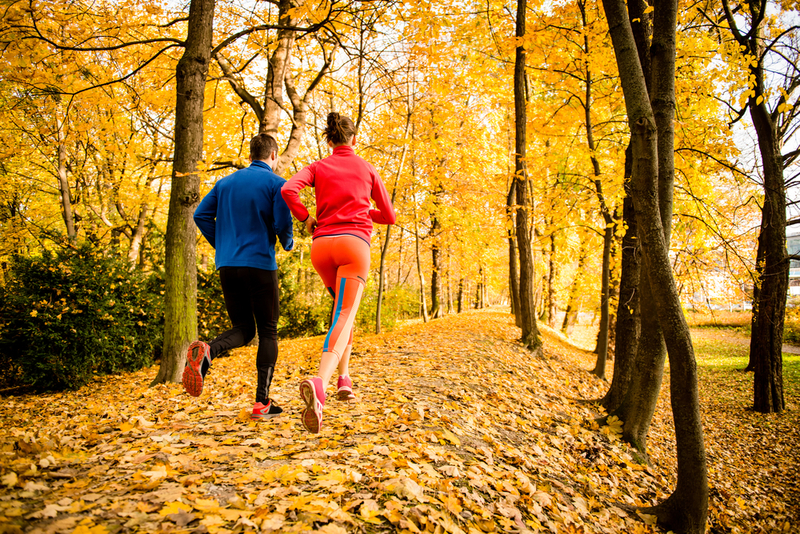 Here are a few ways to fall back in love with fitness or just use the fall season to finish out 2018 on a strong note. Many of us started the year off with a specific weight loss or fitness goal on January 1. While it may have gone by in a flash, the reality is the year is drawing to a close. How are you doing on those original goals you set nearly 10 months ago? Have you made good on the promises you set, or is it time to ditch some excuses and accomplish your resolutions once and for all? Maybe you were focused during the warmer months on shredding down and looking swimsuit ready, as many of us were, and now that cooler weather is here, you’re wanting to shift your focus toward strength and muscle-building? With all of October, November, and December still left, there’s plenty of time to accomplish your goals whatever they may be. Don’t fall into the trap of assuming that just because the Holidays are around the corner, you have to give up on healthy eating. The holidays in actuality only comprise a few days out of the season, and Fall means new flavors and different produce options coming back onto shelves. Treat your taste buds to a new menu and meal plan with fall flavors in mind. Protein-packed chilis, stews, and heartier options you may not have been craving in the summer such as oatmeal, roast veggies, and grain-based warm salads are all perfect with the cooler temps. And don’t forget to stay hydrated, which is even more important with cooler temperatures. Since your body may not crave water as much as it did during the sweaty summer months, it’s easy to get dehydrated without realizing it, so drink up! The days become shorter as we head toward the winter solstice (which falls on December 21 this year), and your body’s natural rhythm and schedule may also shift. It’s natural to feel more tired with less sunlight later in the day, so if you find yourself struggling to find the will to sweat it out later in the day, switch it up! Knock out your workout in the morning, and not only will this struggle be negated, you’ll enjoy a natural energy boost that will carry you well through your lunch hour and keep your endorphins and other feel-good hormones high. With the heat of summer behind us, you can start to enjoy far more outdoor activities as we head into skiing and snowboarding season. 5ks and hikes are much more enjoyable without the heat, and autumn-themed activities like corn mazes, pumpkin patches, apple-picking, and carnivals aren’t just for the kiddos—they can actually be a great way to get outside, get more active in your community, and get the whole family moving. Don’t let the start of the Holiday-excuse season get the better of you! Fall is the perfect time to asses your goals, pick up some healthy new habits, let go of any not serving you, and finish out the remainder of the year as your healthiest you yet!